If you want to protect your original photos and videos from getting stolen then you need to have Aoao Watermark software. This New Year brings you Aoao Photo and Video Watermarking software completely free. Read on to know how! While it is quite easy to protect your content from being copied as that type of theft is easy to detect but detecting the unauthorized use of the your images or videos can be a very difficult task. This makes them an easy target for use by other people for commercial reasons without giving you any due return. This is where a professional quality watermarking software can be a great help. 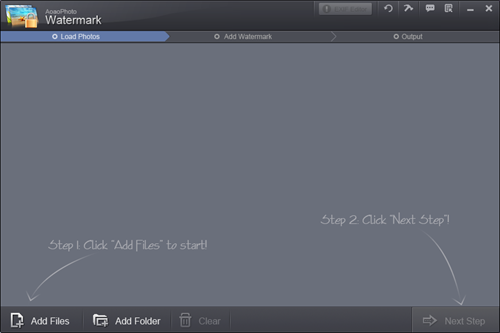 Aoao Watermark is an easy to use tool to add watermark to your images or videos within a few minutes. Be it is a single image or hundreds on image, be it a photo or video taken from a DSLR or from a smartphone camera, Aoao Watermark is highly efficient in watermarking your media files in just the way you like which may be by your signature, text, logo or images (animated even!) And the best thing is that it can do batch work too in a very short period of time. You can get Aoao Watermark Pro completely free by going to the Giveaway page of Aoao Watermark which has been hosted as a par of New Year Celebration. 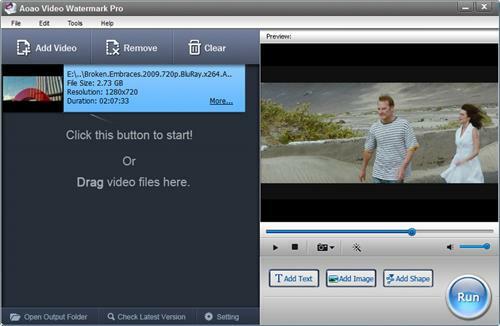 Download the software from here and start watermarking your images or videos for free. The only limitation of these Giveaway copies is that you don't get free upgrade for it. But otherwise you get the complete features of the pro edition in it. Launch the software once you have installed it. Click on Add Files if you want add images one by one or click on Add Folder if you want to watermark multiple images. Click Next. Click on "Text" tab if you want to add text watermark or "Image" tab if you want to enter an image watermark. Customize the Text or the Image the way you want it. This can be increasing or decreasing the size, setting the transparency and/or changing the size of the output file. Click on Save & Create a New Layer and then click on Next Step. In these few steps you can watermark an unlimited number of photos. You can also save the Watermark style you create so that is is available for the next images you watermark. Launch the software after installation. Click on Add Video or Drag your video to the main screen. Click on "Add Text", "Add Image" or "Add Shape" according to what you need. Customize it by setting its size, alignment, opacity and more. Click on Run and you video with the watermark will be produced. Here too you can run the task in batch, converting multiple files at one go. The conversion is quite fast but obviously will depend on your video size too. So what are you waiting for now? This Giveaway is running only for this month and there are only 1,000 copies of each to offer each day; so hurry up and get professional grade watermarking software at no price at all right now. With the widespread usage of digital cameras, smartphones, and the other gadgets, every one of us has become a photographer. So how would you protect the intellectual property from being stolen without getting any credit? That is where watermarking tools come to your rescue. Visual Watermark is one such application that aims at protecting your rights on the digital image produced by you. Read the review of Aoao Photo Watermark and know the features of this great software. See how it performed in our review and how it helps you in putting your copyrights on the images. Read the review of one of the best watermarking software both for online and offline use. Know the features of PicMarkr Pro and see how it can help you protect your intellectual property from theft in the online world. 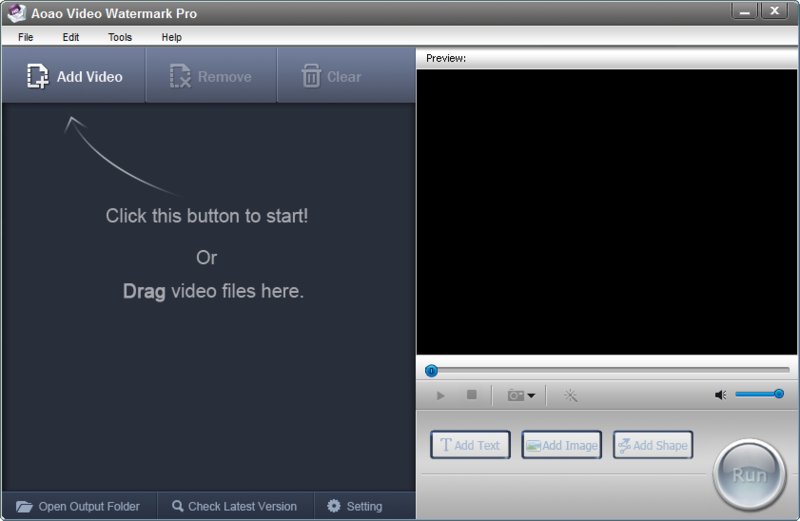 Read the review of Visual Watermark software and know what are all the features of this software. Know how Visual Watermark can help you protect your images from online theft. In this article we do the review of the free watermarking software Kigo Image Converter. See what all this software can do and how effective and easy to use are its watermarking capabilities.